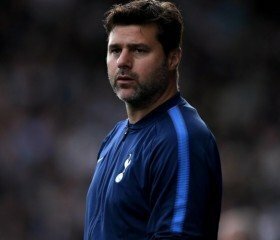 Tottenham Hotspur boss Mauricio Pochettino has reiterated his commitment towards the north London club amid the speculation linking him with the managerial vacancy at Manchester United. United recently took the decision to axe Jose Mourinho from the head coach role with the club going through their worst-ever season in the Premier League era and Pochettino has since been linked with the vacancy. However, speaking in a news conference, Pochettino has once more rebuffed the gossip surrounding his future while stressing that he is determined to succeed with Spurs. "In five years here a lot of rumour has happened, I respect a lot the opinion of everyone. A lot of rumours happen, but it's not my business what has happened. I want to deliver my best show at this football club." he told Sky Sports News. A number of high-profile names have already been linked with the United job since Mourinho's dismissal but the Red Devils are only said to be eyeing an interim coach until the end of the season. Paris Saint-Germain's Laurent Blanc has recently emerged as an option to succeed Mourinho at the helm, although it remains to be seen whether he would prefer a short-term contract to impress the hierarchy.